Austalia's Kyle Langford as has joined Oracle Racing Team. He is the third Aussie to recently have joined the team after the appointment of Tom Slingsby and Darren Bundock. In November Bundy skippered the Coutts Oracle Racing Team AC45 at the AC45 World Series Regatta in San Diego, with Slingsby also on board. 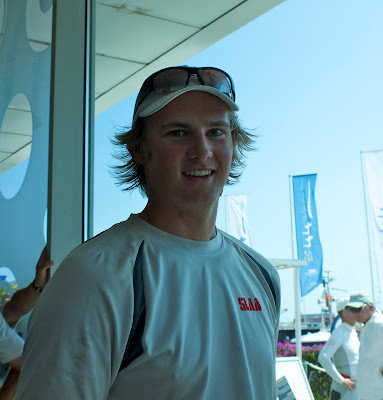 Langford has previously raced with 17 in the RC44s with James Spithill, Mirsky Racing in the World Match Racing Tour with Torvar Mirsky and this year in the Extreme Sailing Series team with The Wave Muscat. He has been training with the team over the past four weeks before breaking for the Christmas period and is excited about the yacht racing year ahead in 2012.